At Cine Gear 2018, Teradek was demoing their latest integrations between the Teradek RT system and other products under the Vitec umbrella like we have recently seen with the SmallHD 703 Bolt. 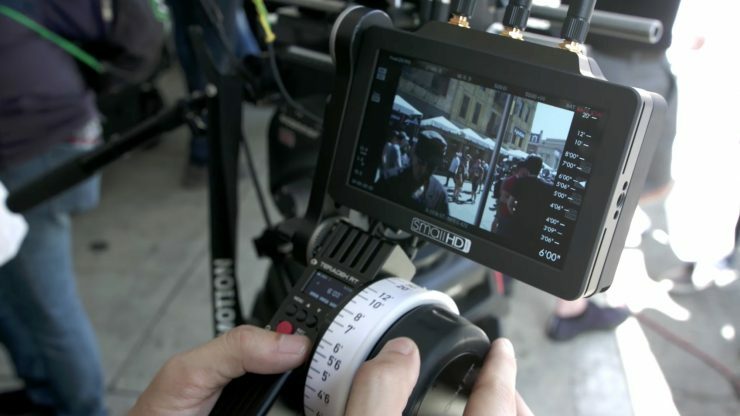 One of the integrations shown was a new single-channel wireless lens control unit paired with the SmallHD Focus Bolt unit. The control unit is very compact and is designed to be affordable hence the single channel but is also the first to feature lens mapping capabilities. The controller also sends data to the monitor to overlay lens information on the monitor. A new superspeed brushless lens motor was also shown which is only slightly larger than current models with a loop through.